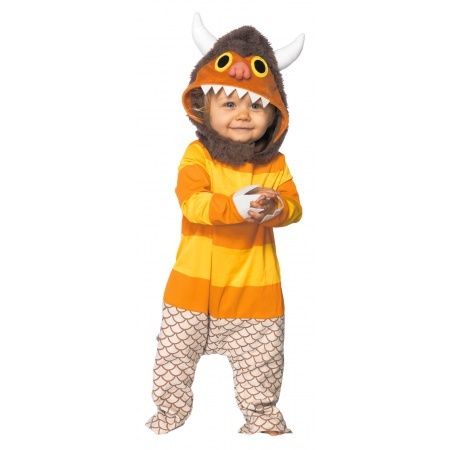 Our Carol baby monster costume includes a printed bodysuit with attached monster hood. The baby monster costume comes in baby sizes Baby 12-18, Baby 18-24. 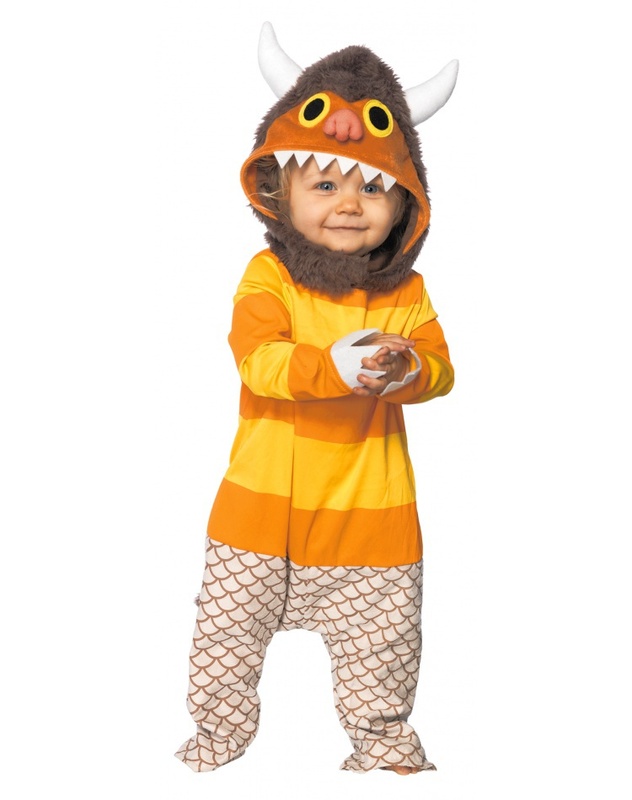 This baby monster costume is an officially licensed Where the Wild Things Are costume.